As of this review, I’ve spent nearly thirty hours with Goldhawk Interactive’s Xenonauts, the planetary defense simulator and self-styled spiritual successor to 1994’s X-Com: UFO Defense. This is triple the amount of time I normally need to spend with a game before putting pen to paper. My delay was primarily due to not knowing what to make of Xenonauts. Despite its claim to being X-Com’s spiritual successor, Xenonauts is more like an artefact from an alternate universe where nobody has ever heard of Microprose. Needless to say this makes Xenonauts a stupendously rewarding and also very challenging experience. Seriously, you will want to read the quick start manual for this game. Yet from a critical point of view, parsing the game proves to be something of a challenge. Specifically, I had a hell of a time determining the point where homage ends and originality begins in Xenonauts. On first blush, everything in Xenonauts can be traced back to a common ancestry in X-Com. The Xenonaut organization is X-Com by another name. Solder stats see the return of time units: a game mechanic made (in? )famous in X-Com. Elerium is to Alenium as Mutons are to Androns. Even the strategic flow of the game is replicated from X-Com. Players build a base, shoot down UFOs, send strike teams to clean up crash sites, research alien technology, build their own laser guns, and vanquish the alien threat. Even with the spiritual successor designation in play, I found myself initially unsettled by the wholesale similarities between the two games. As a slush reader for a SF magazine, I understand that derivation is part of the creative process, but duplication is almost always the anathema of good work. Nevertheless, I kept playing Xenonauts. I wanted to shoot down one more UFO. I wanted one more ground operation to break in some rookies. I wanted one more excuse to try out my new tank. Whatever secret sauce goes into the “just one more turn” phenomenon, Xenonauts has it to spare, and that says a lot for the game’s quality. As I played on, the subtle differences between Xenonauts and X-Com emerged. First and foremost, Xenonaut soldiers can pick up and use alien weapons without researching them. This is absolute heresy for X-Com loyalists. I instantly questioned how Goldhawk could claim to be a spiritual successor to X-Com while getting such a fundamental point wrong. Fortunately, they negotiated these waters to my satisfaction. While a soldier can pick up and use an alien plasma rifle, he/she can not reload it and suffers a huge aim penalty due to alien ergonomics. I quickly learned that it was better to stick with my trusty terrestrial assault rifle than trust the fragile lives of my team to an unknown variable. Thus was the potentially game breaking flaw averted. Xenonauts also offers a tactical layer to interceptor combat that was absent in X-Com and Firaxis’ XCOM: Enemy Uknown/Within. Air combat is resolved on a radar screen where players have to jockey for position against UFOs. Further distancing itself from X-Com, Xenonauts’ UFOs attack in waves at multiple points around the globe. Even when a UFO isn’t within the detection radius of a Xenonaut base, players can see the aliens’ nefarious actions – as well as how those actions affect a region’s funding to the Xenonaut project – in real time. Xenonaut interceptors and UFOs alike can fly in squadrons of up to three craft, allowing for some interesting tactical choices on the part of the player. Do you send a pair of F-17s into combat against one target, knowing they can down it with ease, or do you risk sending a single interceptor into combat so that it’s wingman can deal with another threat, thus garnering a financial boost from the nations of the world? In terms of ground combat, Xenonauts has a complex and often infuriatingly realistic cover system. The game manages line of sight with all the ruthlessness of a cranky Battletech DM. Ground battles also reflect the cheapness of life on the battlefield. Aliens will attack from within the fog of war, killing Xenonauts before they have a chance to return fire. Critical hits can ruin the day of even the most experienced, armoured, and decorated soldier. The inclusion of combat shields and shotguns pairs with brutal breaching actions when Xenoauts have to clean out alien survivors in a downed UFO. X-Com veterans who thought opening doors was a tense process in UFO Defense are going to be in for a new level of pain in Xenonauts. Then there’s the game’s economy. X-Com always reached a certain phase where black market sales made funding from sponsor nations a moot point. Not so in Xenonauts. Now there’s never enough money. Shooting down a small UFO and securing its wreckage for sale on the black market brings in enough cash to buy ¼ of an interceptor. The funding loss that comes with camping an alien base and shooting down the surrounding UFO traffic is greater than the salvage that the alien wrecks bring in. Not to mention the fact that alien bases get bigger and harder to clear the longer they sit un-harassed. Goldhawk has done a great job in presenting the game’s economy as an exercise in staving off entropy within the closed system of the alien invasion. While Xenonauts does a lot of things that I like, I think it missed on one rather obvious point. The Cold War setting feels completely arbitrary. It doesn’t translate into the game play where, for example, mixing NATO and Warsaw Pact soldiers on a strike team produces an initial morale hit. Nor is the Cold War influence on the game’s aesthetic particularly profound. Why mobilize a geopolitical conflict rife with narrative promise only to use it as window dressing? Returning then to my original question: where does homage end and originality begin in Xenonauts? I’d have to say in the fine details. Broad strokes, it’s very similar to X-Com. Because of that, a $25 price point may put some people off this game when they can download Open X-Com for free. However, Xenonauts’ most rewarding feature is that in following the X-Com model, it evokes all the things that made X-Com an engrossing and heart wrenching experience. At the same time, the game changes the variables just enough to force X-Com veterans to add a few new chapters to their playbooks. Xenonauts won’t replace X-Com in the hearts of gamers. Then again, I don’t think that’s its goal in life. Unlike humans and aliens, the two can co-exist quite peacefully together. 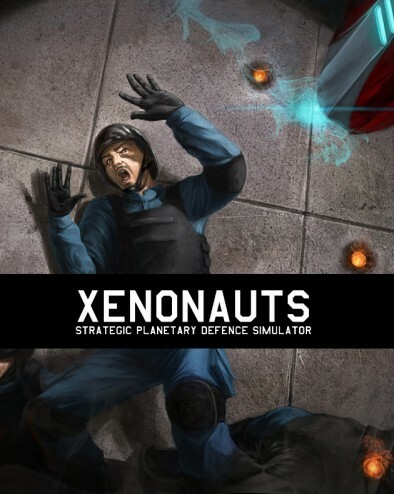 Ultimately, Xenonauts will provide an experience that compliments everything people loved about X-Com while taking a few baby steps into its own territory. It might not score many points for originality, but it excels in the execution. Found this article accidentally on google, I agree with the sentiments within completely and I hope that they make Xenonauts 2 and add more dynamic gameplay so to develop the series on its own course.